Forget Yellow Pages, get the best value with Groupon! Most discount lovers can probably recall the great bargains to be had at Groupon.com. Unfortunately, Groupon’s discount-a-day coupons aren’t as popular as they were in recent years, and that’s led the company to get creative and look at new ways of promoting itself. Take a look at Groupon now and you’ll be amazed to see the site is now effectively a full-fledged business listings directory, a bit like the old Yellow Pages. 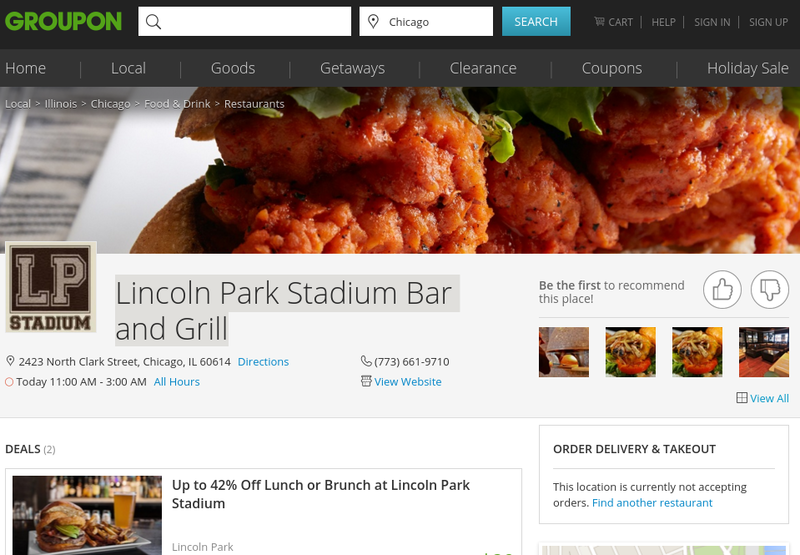 However, Groupon goes one step further than its new rival because, as users will note when they check out this Lincoln Park Stadium Bar and Grill listing, it not only offers detailed business information but awesome discount deals as well!